The Godard Family: It is finished. Tell no one of what you have just learned. was there only one?? or will ben have to bust out his manly chest hair for the rest of the family? i bet they don't bother our yard because the grass is dead! that IS the question robin! 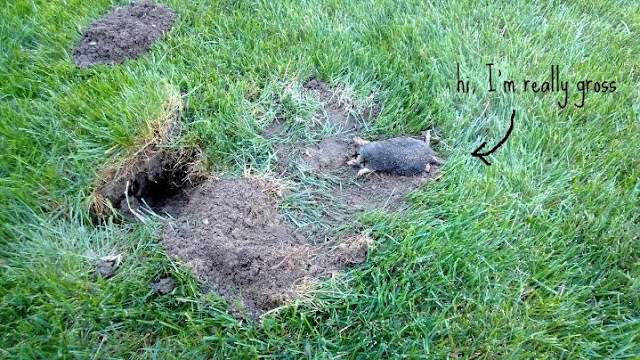 we have been ringing our hands and watching the yard verrrry closely since our mole met his maker. I wanted to do capture and release with the mole, but ben's caveman instincts took over and well, you know the rest. Astonishment!!!!!! How? Train me please, but I'll get someone else to earn chest hair. I'm not interested in earning that.